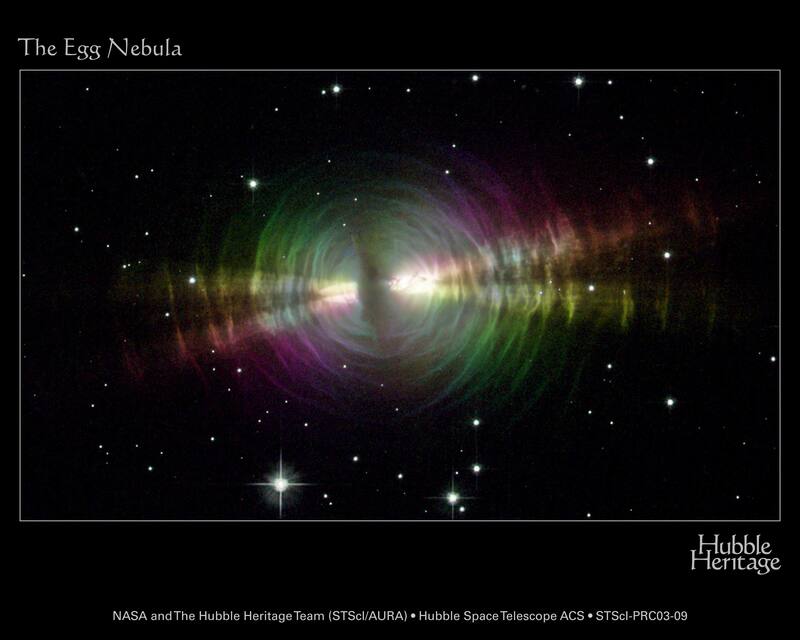 Explanation: Where is the center of the unusual Egg Nebula? Like a baby chick pecking its way out of an egg, the star in the center of the Egg Nebula is casting away shells of gas and dust as it slowly transforms itself into a white dwarf star. The Egg Nebula is a rapidly evolving pre-planetary nebula spanning about one light year toward the constellation of Cygnus. Thick dust, though, blocks the center star from view, while the dust shells further out reflect light from this star. Light vibrating in the plane defined by each dust grain, the central star, and the observer is preferentially reflected, causing an effect known as polarization. Measuring the orientation of the polarized light for the Egg Nebula gives clues to location of the hidden source. 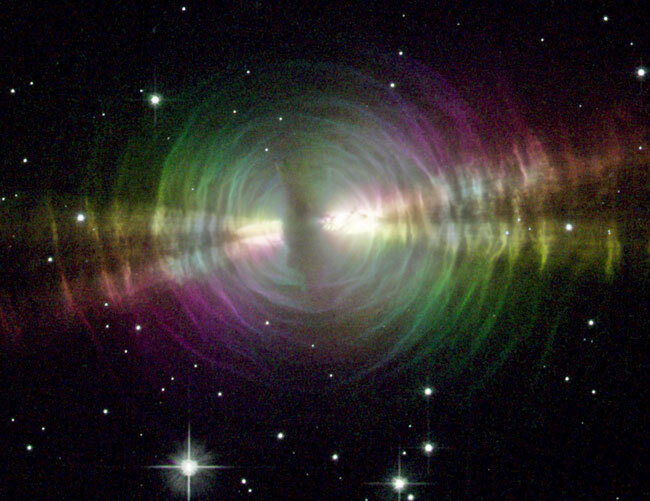 The above image taken by the Advanced Camera for Surveys on the Hubble Space Telescope is false-color coded to highlight the orientation of polarization. Have you seen this week's: HEASARC Picture of the Week?